Bringing home a new pet is an exciting time, and while you’re showering them with love, you should remember that it will take time for everyone to adjust to this new environment. Between new responsibilities for the owners, veterinarian visits to establish care, and helping your animal feel comfortable in their new space, remember that it may take some time for them to behave naturally around you and your family. If you’re preparing to bring a new dog or cat home, use the tips below to help everyone adjust. 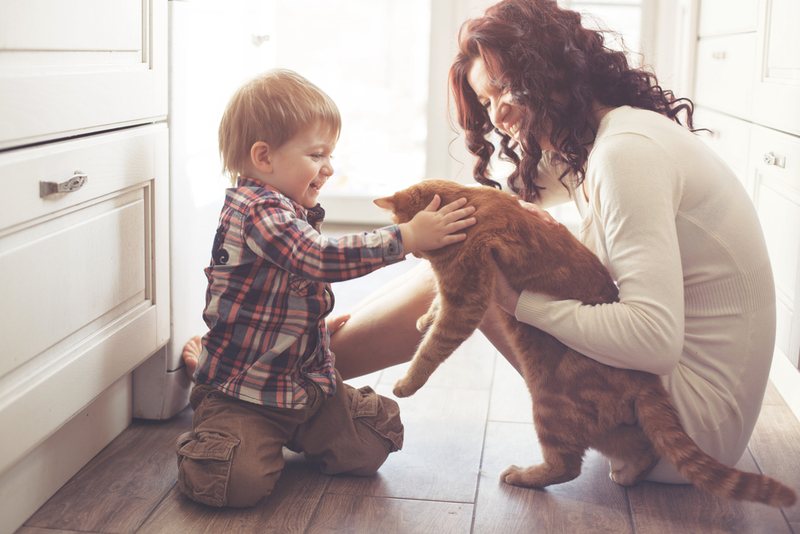 When you arrive, your pet will naturally want to go on an adventure to explore the house. Walk with them while they’re sniffing around, keeping an eye on them as they get acquainted with their surroundings. Don’t force them; some pets may want to relax at first and take everything in. Gradually, they’ll warm up and explore other areas on their own. A new setting and new family can be exhausting, so give your pet plenty of space. If they want to sit in another room alone, let them. They’re not doing it because they don’t like you—they just want some alone time. If you do have some concerns about how they’re adjusting, contact your veterinarian for advice. Your new pet will want a place that’s theirs, which is why it’s a good idea to set something up in a central area. If you’re crate-training them, make it comfortable; additionally, a pet bed with blankets and veterinarian-approved toys will also help them feel welcome as they ease their way into being a member of the family. Again, don’t force them into the space. They may need some time before they choose to accept it. It’s important to keep your new pet healthy and up-to-date with the veterinarian, and the team at Middlefield Veterinary Clinic can help. They offer comprehensive veterinary services that you can explore online, including emergency pet care, neutering, and pet vaccinations, and their team ensures pets and their owners maintain healthy, fulfilling relationships. For regular pet care advice, news, and updates, connect with them on Facebook. Call any of our five locations below for the best in veterinary care. Sunday Hours are for boarding pickup and drop-off only.